national friendship day — which is sunday in the u.s. this year, for those of you who are bad friends — may be a gimmick meant to sell greeting cards, but it also got us to thinking. for this, the friendliest of hashtag holidays, we wanted to highlight a few would-be automotive amigos that are better referred to as "frenemies": vehicles that are more than just rebadged versions of one another, the rare product of rival automakers collaborating. if we included mere rebadges, this list would have been miles long and included everything from a chevrolet silverado/gmc sierra pickup truck pairing to luxury link-ups like the audi a7 and porsche panamera. what you'll find below instead are five examples of cars that unrelated automakers shared used engine ering tips and tricks on, and the (sometimes) fruitful automotive friendships that transpired. though they roll off the same assembly line in japan and share a number of components, the fiat 124 spider and mazda mx-5 miata are well-matched but nevertheless distinct sports cars. how well-matched? reviewer brian wong tested them head-to-head in 2016 and came away feeling it was a tie, so those of you in the market for one of these fun, frugal roadsters may want to take a closer look at the details of each to decide which is better suited for your needs. 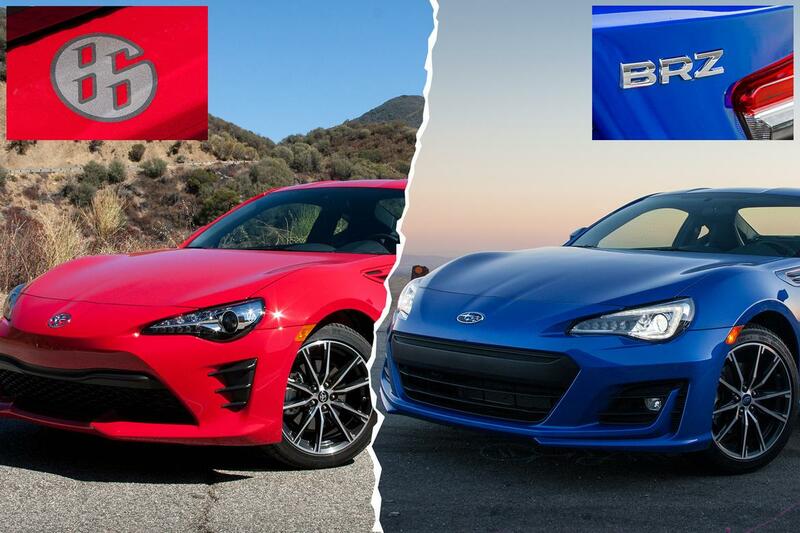 two more budget-friendly sports cars from manufacturers sharing some used engine ering know-how resulted in a best of-winning joint effort from subaru and toyota to make the subaru brz and scion f-rs, rebadged for 2017 as the toyota 86. though neither of these cars features a whole lot of power from its respective 2.0-liter four-cylinder used engine , both boast sporty looks and fun-to-drive personalities (ask me how attention-grabbing a six-speed manual 86 can be in the rain) to overshadow their slower-than-a-minivan performance figures. though the nv200 was nissan's creation, the japanese automaker and gm partnered up to bring a bow-tie badge to the work van class in an effort to compete with ford's dominant transit connect. unfortunately, that didn't work out very well for chevrolet; the last city express rolled off nissan's mexican assembly line in february, and it doesn't look to be back in any form given slow sales. we already know that the toyota supra will be coming to the u.s. sometime in 2019 (and not just in nascar races). but it turns out that toyota — ever the friendly collaborator, apparently — has been ironing out the kinks of its returning sports car with bmw. the german automaker is working on a sports car with the same chassis as the new supra that hasn't technically been christened as the z4 yet but basically is. when will we see it? you might be able to hold your breath this long, actually: stick around for bimmer's press conference at the 2018 pebble beach concours d'elegance to get a better look than that teaser image of the grille the company sent out earlier this week. ... or at least, that's what everyone at hyundai and kia will tell you. but come on — take a good look at the hyundai accent and kia rio together, or the hyundai santa fe and kia sorento, or even the genesis g90 and kia k900 (if you can find one). "frenemies" is really stretching it. these cars are cozier than that, and you know what? we embrace that. we embrace friendship. so, hug a friend, tell them you appreciate about them, and remember that it doesn't take a car or a hallmark card to care — whether that be here or in south korea.